I’ve always been a long hair kinda gal. And a blondie through and through. I’ve come a long way in how I treat my hair now though.. these locks weren’t always the healthiest due to more damage than I’d like to think about (eeek). Three years on the high school swim team took a major toll on my hair. Especially that dreadfully tight swim cap which gave me split ends, breakage and very attractive lines on my forehead… I laugh about it now, but the harsh chlorine turned my blonde hair green, the pool water was SO damaging and sucked out any moisture plus the amount of breakage from always being up in a tight swim cap makes me cringe. I had to use a special shampoo (with who knows what chemicals in it) to remove the green tint. 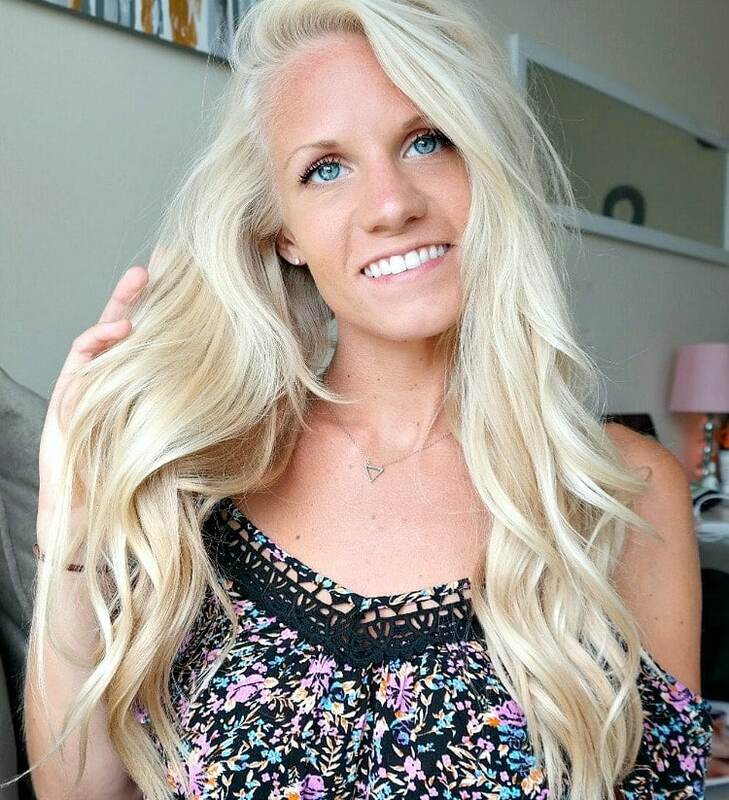 Not to mention, my hair was SO OILY because it was trying to make up for my constant stripping away of natural oils… Fast forward to college and going out all the time which entailed washing it daily, roughly brushing it without caring, blow drying, curling/straightening, teasing and using every conventional product under the sun. After the past few years of taking much better care of my hair (and going vegan), I’ve seen a major improvement in length, natural shine and overall hair health. Many of you have asked about the products I use, if I color it, my top hair tips etc. so that’s what we’re getting into today. 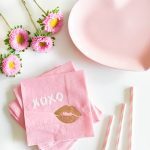 I’m splitting this post into two parts (one for my secrets, the other for favorite products, so be on the lookout for that towards the end of the week!). Side note: If you think your hair just stops growing at a certain length (so frustrating, right?) then this post is for you. Don’t give up on your hair, all you need to do is change up your routine a bit and implement the tips I’m sharing to get it growing again. It is possible!! I do not color my hair and never have – I got it from my mama! She was the same and somehow I was lucky enough to inherit that blonde gene. What’s the secret to growing long, healthy hair? There’s many secrets! Not just one magical product or pill or trick. We wish, right?! Long luscious locks require work, maintenance, time and patience. It could takes months of changing habits and switching out products to see results but it’s SO worth it! 1. BE GENTLE… AND USE A WOODEN BRUSH! I said it above and I’ll say it again. Your precious hair is delicate and can break/split so easily if you aren’t careful. Breakage is not cute and does not help the length – it makes your strands look thin and dull. Consider this when brushing it out! Stop tearing through knots like you’re angry at them. This is especially important after showering. When hair is wet, it’s much more prone to breakage and can easily snap off. ALWAYS start from the bottom with a wetbrush (this brush is life-changing) and work your way up to the top. Spray on some detangler if it’s super knotty. You wouldn’t believe how long it takes me to brush out my hair sometimes…but it’s essential if you want long locks of love. So usually I let it air dry before brushing it at all BUT I always brush it out before showering and also use a wide-tooth comb in the shower while the conditioner is soaking in, gently brushing it through to prevent wet tangles post-shower. Lastly, before bed, braid your hair in a loose braid so you wake up with natural waves (I do this every night), instead of crazy messy bed head that you have to slowly brush out. Or loosely pull it back into a low pony tail so you don’t sleep on it and cause more damage throughout the night. I love a cute scrunchie instead of a tight hair tie. Limit your use of styling tools as much as you can. Instead of automatically frying your hair by turning up the heat to high, turn it to low/medium – it works the same and is much less damaging. Let your hair air dry as long as possible before blow drying. Only blow dry if you have to and use the warm or cool temperature. If you curl your hair, make the curls last a few days! There are lots of ways to cut back on heat damage. Also use a heat-protectant like this one if you are styling it. I know some girls can’t go more than a day without washing their hair because it feels gross and oily, but washing everyday strips away the natural oils causing your hair to produce more oil so you’re actually doing more harm than good. Once you stop washing everyday and switch to 2-3x per week, your hair will adjust (with time) and start producing less oil. Less washing means less blow drying and less heat. In the meantime and in between washes, thank goodness for things like dry shampoo! Total lifesaver. 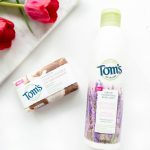 Try this method of washing less and eventually you will get used to it, I promise, and your gorgeous hair will thank you! 4. NO TEASING PLEASE. NO HIGH PONY TAILS WITH TIGHT HAIR BANDS EITHER! Stay away from teasing! It causes SO much damage. I used to way overdo it on the volume… like the entire crown of my head… LOL #college. 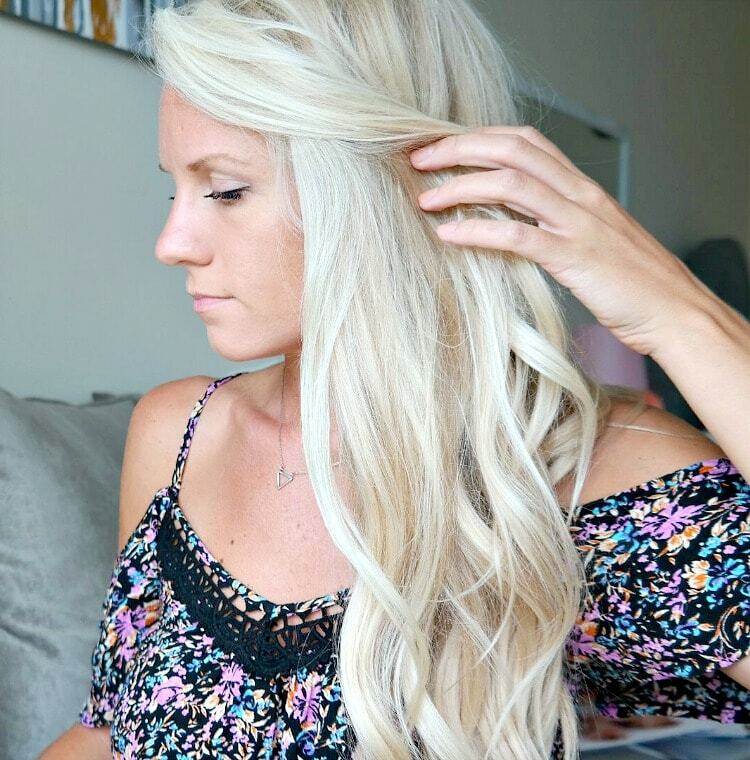 Use a volumizing shampoo or texturizing spray to create volume instead. Dry shampoo creates volume too! 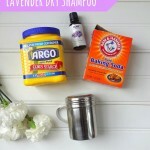 DIY your own with my homemade recipe or use this dry shampoo powder. Also, high pony tails cause a ton of breakage and flyaway’s. If you want your hair out of your face, opt for a low pony using hair ties without the metal parts or do a cute side braid. Messy side braids are my fave. Trims are so misleading. While they do remove dead split ends making your hair appear fresher and healthier – trims do nothing to promote hair growth. Just let it grow out! I get a trim maybe twice a year which sounds crazy and many hair dressers would gasp… but they always chop off WAY more than they say and I immediately regret going. So now, I just don’t! Twice a year works just fine for me. What do you guys think about regular trims? Have you read the back of your shampoo and/or hair spray bottle lately? 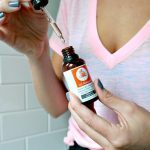 You wouldn’t believe the ingredients that lurk in beauty products… the labels make them sound like amazing miracle workers but don’t fall for the lies! You want to lookout for sulfates, salts, fragrances, chemicals etc. We are breathing in these fragrances and chemicals while spraying them on our hair… we are massaging them into our scalp in the shower… only for them to be absorbed through our skin. 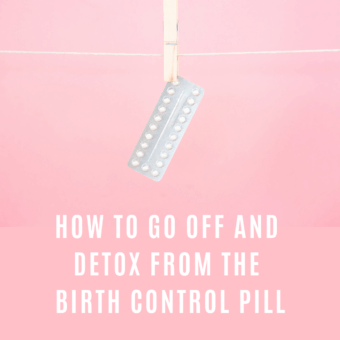 These could be triggering allergies, skin issues, reproductive issues, disrupting hormones… the list goes on. Conventional products use waxes to make your hair feel and look shinier which is only covering up the damage it’s doing. They don’t nourish your hair at all. Using the right products will nourish your hair and scalp without chemicals or scary ingredients!! This is why I’ve switched to vegan, cruelty-free products with natural and safe ingredients. **I highly recommend you get the Think Dirty app and become more aware of ingredients and toxicity, if you haven’t done so already. 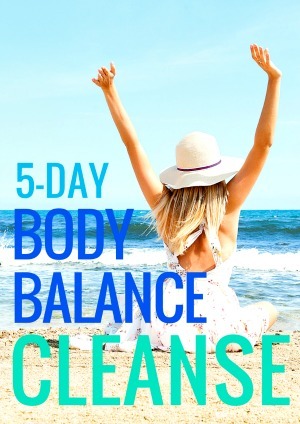 Enter in every product you use to see where it falls on the scale – you would be shocked at some of the ratings for those so called “healthier” brands – it’s crazy! This goes hand in hand with #6 but the foods you eat play a major role in the health of your hair. If you are healthy internally, you can exude health externally through your skin, hair, nails etc. If you are eating crap then your hair will probably look like crap but if you are eating nourishing whole foods then it will show! Lots of plant based foods, plenty of water, enough sleep and regular exercise – so boring I know and you’ve heard it a million times before but it’s an essential element for growing healthy, luscious locks. 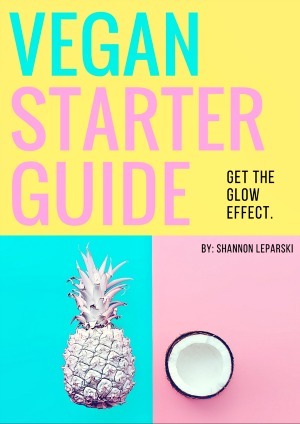 For help in this area, check out my Vegan Starter Guide and 5-Day Body Balance Cleanse to get started. Also, hair loss can be hormone-related. 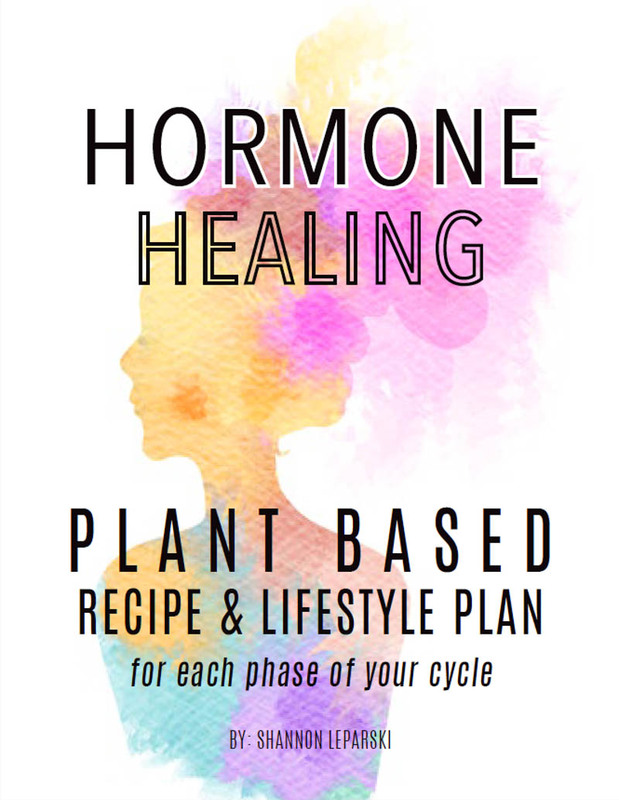 Be sure to check out my Hormone Healing plan! What are your hair care tips?! Leave me a comment below! 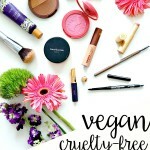 Part Two of this post coming soon with my favorite vegan cruelty-free products! ” Stop Getting Trims” is a very good point. Most of the girls don’t know about it. They thought trimming is very helpful for hair growth. By the way, Thanks for your awesome tips. Really you all tips are worth applicable. I am Patricia Evans. I think everybody should take care of their hair before they lost. That is why my suggestion is that uses your hands to rub it in the ends and the mid length of your hair, shampoo after two hours. Try to avoid how water showers, as hot water will make your hair dry and brittle as it strips protective oils from your hair. Drink lots of water and eat a healthy diet of raw fruits and vegetables. I wash my long hair 1 day a week either on a Saturday or a Sunday. I condition every other day and rinse with Braggs Apple Cider vinegar, beer or Peppermint oil. Thanks for this, in addition Keeping the hair moisturised especially when the weather is dry is healthy. like here in Nigeria we experience harmattan towards the end of year and early in the year. Thank you for your great hair care tips. I heard some people recommended that I should trim the dead end to get healthy hair? Well, I was confused and now I believed that it does not help to promote any hair growth. Great stuff and I will come back for your new articles. Hi! Love the hair tips! I’ve been growing my hair out for a few years now, and just wanted to know your opinion. I don’t brush my hair, just give it a quick finger brush if it feels knotted anywhere, always very gently. Would this be ok or are there benefits to using a brush? This article is very helpful for taking care natural hair. I am now aware about using wooden gentle brush and selecting shampoos which contain natural ingredients. Women avoid sulfate shampoo, rather they prefer Best organic hair products to hydrate the scalp and stimulate healthy hair as well as fortify hair follicles to enhance hair to a magnificent manifestation of glowing hair. I am a licensed cosmetologist (doing skin care now) and I totally agree with all of your tips. Getting a trim to make your hair grow has never made sense. Nothing you do to the hair shaft is going to affect how fast it grows. If you are mindful of your hair care and follow the other tips for healthy hair you shouldn’t need a trim more than once or twice a year. I don’t work in the hair industry anymore because of the exposure to SO MANY CHEMICALS on a daily basis. Your hair is absolutely gorgeous! Really Very Nice post . You are looking very beautiful. Amazing hairs, especially you hair color. Look for a brush that is mostly boar bristle with *some* nylon bristles(all boar is too dense and soft and wont go thru the hair). It has nothing to do with being wooden or not. Ive been a stylist for 29 yrs and no, you should never go more than 3 months in between trims when trying to grow hair. You just need to find a stylist that knows how to just trim. If you go 6 months or more you will end up getting whatever length youve achieved, cut off due to split ends that travel up the hair shaft. Do you really like the wooden brush? It seems odd to have stiff bristles. I have straight baby fine hair that gets tangly. Def going to check out that detangler!! I have been through a whole bunch of organic shampoos trying to find one that doesn’t leave my hair feeling gross. Right now I’m using John Masters and I’m really liking it. I am finding I can only get 1 day out of my hair before needing to wash it again though! Thanks for the tips on how to get and keep healthy hair. 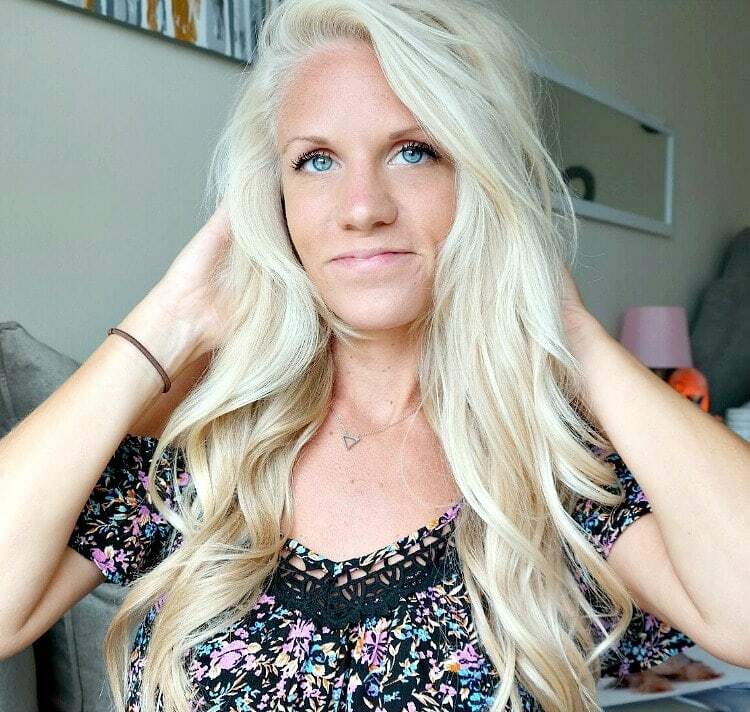 My wife just switched to washing her hair every couple of days rather than every day and it has made a huge difference for her and the way her hair feels and looks. The problem for her is finding the right products as well, I would imagine it is hard to find the right product for a lot of people unless they buy online? I will be sure to share this with her. You have such beautiful hair so you must be doing something right! 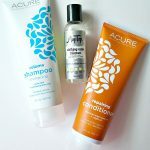 I need to transition to using a wooden brush and I’ve been wanting to try Acure’s shampoo and conditioner line. It’s been almost a year since my last hair cut. I love how long hair looks on you! Unfortunately, mine doesn’t grow that fast, but I try to cut it as rarely as possible, when it’s absolutely necessary. Amazing tips, I will try to take them into account every time I think about my hair. Kudos to you for being a vegan – I really admire people like you! I really enjoy 100% Pure’s (vegan) Kelp & Mint Volumizing Shampoo! I am a short-haired girl! I recently cut my hair (which has the same wave as yours but is slightly more coarse and curly) into a blunt bob and I love it. With my slightly curly hair, I never brush it, wash it once or twice a week, and only blow-dry (no straightening or curling). I love Shea Moisture products for my hair! And though I add blonde to my dishwater-brown hair, my stylist adds it as balayage so that not much bleach is needed and only needs to be touched up three times a year. I receive frequent trims to keep my hair short but when it was long I would get three trims a year. Thanks for sharing Maggie! Love the tips and love the Shea Moisture products as well! I use their frankincense body wash and coconut hibiscus body lotion. AMAZING!! Hi Lexi! Yes – it’s so amazing right?! The differences in overall health are incredible, especially for hair 🙂 love it!